Worried about making your personal injury claim? Let's maximize your settlement so you can focus on your recovery! 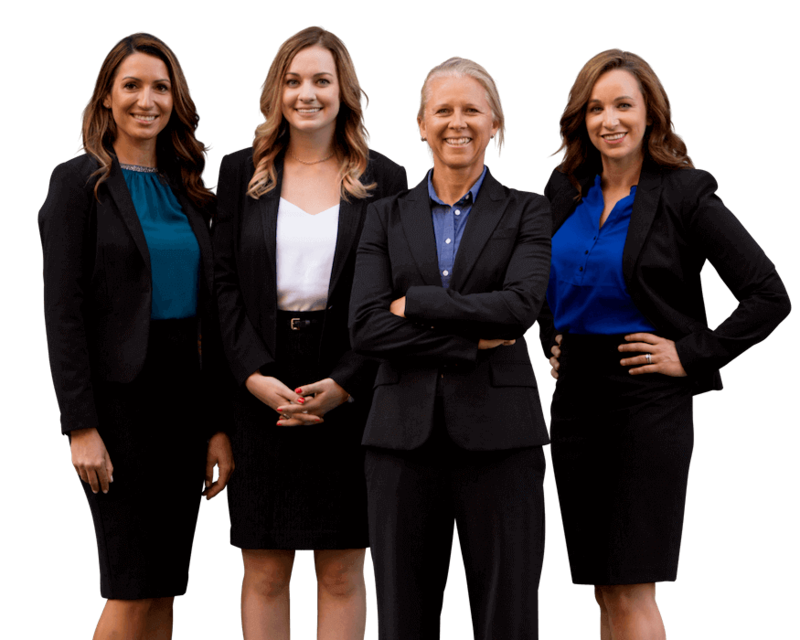 Sally Morin Personal Injury Lawyers San Francisco is a top-ranked personal injury law firm handling serious traffic accident cases in San Francisco with additional locations in Los Angeles, Oakland and San Jose. Our San Francisco personal injury lawyers work to represent traffic accident clients who have suffered serious injuries in. This laser focus on traffic accident personal injury claims makes us one of the most sought after California personal injury law firms. To maintain our high level of customer attention, we don't represent cases with minor injuries like whiplash and other "soft-tissue" injuries. 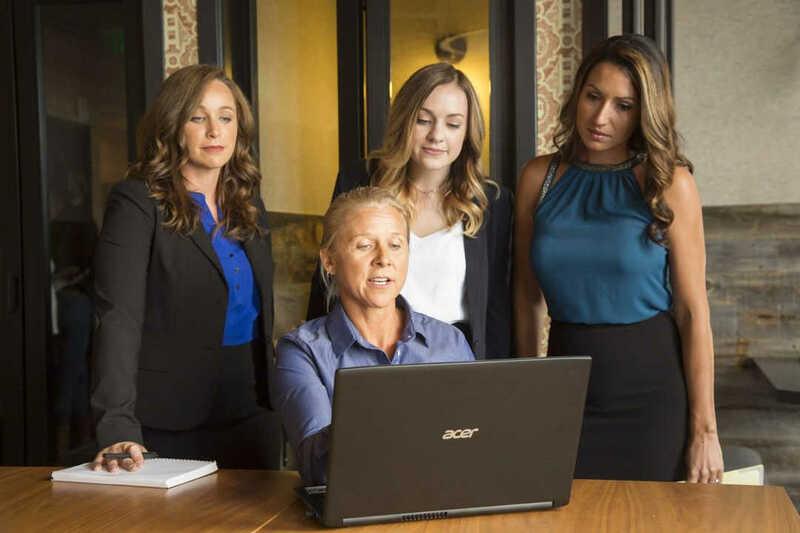 When you work with Sally Morin Personal Injury Lawyers, you focus on getting your life back to normal while our team maximizes your case value to recover damaged property, lost wages, medical costs and pain and suffering. While the San Francisco Bay area leads the state in car, bike, motorcycle and pedestrian accidents, it fortunately is not an everyday part of life for most people. But when it happens and you sustain a serious injury, you find yourself in a system that is not user-friendly and is designed to minimize any personal injury claim you might file. Personal injury cases can be complex. When it’s just you against the insurance company, the cards are unfairly stacked in the insurance company’s favor. Insurance adjusters and the attorneys who work for insurance companies are charged with the task to settle for as little as possible… and they are good at what they do. If you want a fair settlement, if you want to end the hassle of dealing with the insurance company, then you want the best San Francisco personal injury attorney you can find. When you have that traffic accident in San Francisco, a series of organizations enter your life that are not there to help you. First, you have the police department. They are often overwhelmed and do not always conduct a complete investigation. This can result in an traffic accident report that incorrectly determines you to be at least partially at fault. This is particularly common if you are involved in a motorcycle or bicycle accident in San Francisco. Next, you will have to deal with your medical providers and their bill collectors. They don’t care if you win or lose your personal injury claim, they just want to be paid and they want to be paid ASAP. This can be very stressful when you are trying to focus on healing from your injuries. And then there are the insurance companies. Their sole function is to keep payouts on personal injury claims to an absolute minimum. For insurance companies it’s not about fairness, it’s about money. Being in a serious SF traffic accident is probably a totally a new experience for you. This is new territory and there no "app for that." You are alone. You are in pain, lost your means of transportation, are losing time from work and for sure are facing or about to face adversarial relationships with adjusters and lawyers from the at-fault party's insurance company. You most certainly have a higher stress level than you deserve. Sally Morin Personal Injury Lawyers is one of the most sought after San Francisco personal injury attorney law firms and for good reason. You won’t find Sally or her team on a late night TV ad, on a billboard or plastered on the side of a MUNI bus. That’s not their style. They aren't in this for their own egos, they are in this to help! Sally Morin Personal Injury Lawyers' San Francisco personal injury practice is a client-focused law practice. The team focuses on getting fair settlements for their clients’ personal injury claims. 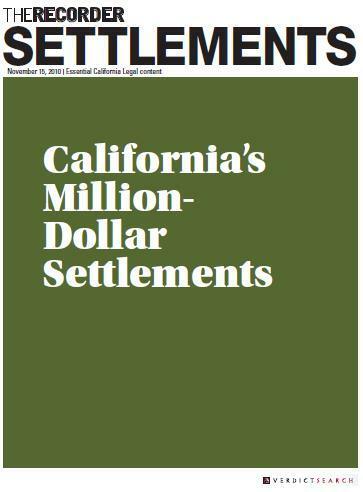 More importantly, they get those settlements with minimum involvement by their clients. The Sally Morin Personal Injury Lawyers team understands that dealing with the police, medical providers and most especially the insurance companies is their job - not yours. When you have Sally Morin Personal Injury Lawyers representing you, you can relax and concentrate on getting well again. You've been seriously injured, but you're not just out for a payday. While you've been seriously injured, your goal is not to put your entire case at risk by fabricating the extent of your injuries or needlessly punishing the at-fault party. You simply want to recover your full costs, including your medical expenses, lost wages, damaged property, plus pain-and-suffering. You aren’t seeking revenge and you don’t want to endure a lengthy legal battle. You just want to get back to your full and busy life again. Your work, your hobbies, your sports, your passions, your friends and family. Our team of San Francisco personal injury lawyers are experts at negotiating a full, fair and fast settlement on behalf of our clients. And if we don't win your claim, you don't pay anything. It's that simple. A lot of our competitors have what we call an "open-door policy", meaning they'll take any kind of personal injury claim. No matter what type of case or how large or small, that walks into their door, they are eager to take it on. This includes not just serious traffic accidents, but slip-n-falls, dog bites, assaults, medical malpractice and even employment law cases. Perhaps they like being a “Jack of all trades.” But at Sally Morin Personal Injury Lawyers, our San Francisco personal injury attorneys are 100% committed to exclusively serving traffic accident personal injury clients only. 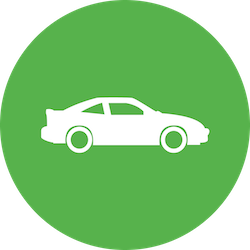 These include: pedestrian, bicycle, motorcycle, Uber/Rideshare and car accident clients. Rather than dabble in all areas of personal injury law, our laser focus has made us the go-to experts for handling San Francisco traffic accidents. We are one of the most sought after traffic accident law firms in the San Francisco Bay Area and beyond.  You'want a 30-day, 100% satisfaction guarantee. You read that right. All of our newly signed clients get a 30-day, risk free, 100% satisfaction guarantee. If at any time during our first thirty days of working together you are unhappy with the level of attention, care and service you receive from your San Francisco personal injury attorney, you can suspend your contract at no cost and seek out another law firm for your San Francisco traffic accident case. It's never happened before, which is probably why we have over 150 cumulative five star San Francisco personal injury client reviews. However, we understand that hiring the right San Francisco personal injury lawyer can be a daunting process, so we want to make this as stress-free as possible. Unlike other law firms, we pride ourselves on delivering both top-notch customer-service AND solid settlement results. 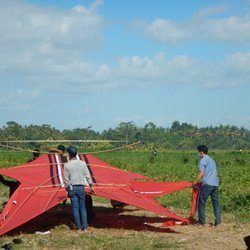 Hire us and you’ll see why we are so confident in giving this satisfaction guarantee. San Francisco is not an easy city to drive, walk or ride in. While most major cities in California have a freeway system that directs traffic out of and around the city, San Francisco operates on a highway system that routes traffic straight through the heart of the city. As San Francisco's population has boomed and the amount of foot traffic in the city has skyrocketed, so too have the number of traffic accidents. Sadly, San Francisco was ranked #1 in California's largest cities by the California Office of Traffic Safety for motorcycle injuries and deaths, bicycle accident injuries and deaths and pedestrian accident injuries and deaths for people over the age of 65. We rank #2 for ALL pedestrian accident related injuries and deaths. What’s the number one cause of these accidents? Distracted driving. Drivers who are either caught up in fiddling with their infotainment systems or their cell phones fail to react to pedestrians, cyclists, motorcyclists or other cars until it’s too late. Each year thousands of Bay Area residents are injured or killed by drivers who were simply not paying attention to the roads. 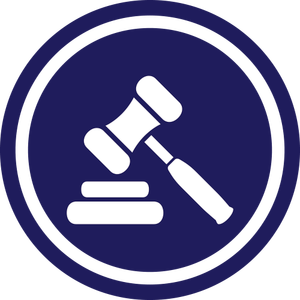 What happens after a San Francisco personal injury accident? After you are taken to the hospital, the insurance company for the at-fault driver will contact you concerning the accident. It’s important never to say anything to the insurance adjuster. Insurance adjusters will pump you for information that could damage your claim. Though they will play themselves off as a concerned friend who is only trying to help you, they are recording everything that you say. They will use what you say against you, if they can, in order to avoid paying you the full value of your claim. In addition to this, insurance adjusters will scour your social media accounts for information that can damage your claim. In other words, insurance companies are not there to help you. You and the insurance companies are working toward adversarial and opposed goals. This is why involving a good San Francisco personal injury lawyer in the process as early as possible can alleviate much of the stress and uncertainty in the process of resolving your claim. Contact the SF traffic accident expert legal team at Sally Morin Personal Injury Lawyers now! Most law firms sign up a bunch of clients and then forget about them until there's a deadline in the case. Not us! At Sally Morin Personal Injury Lawyers, we get started on your case the day you sign up and we don't stop until you get the settlement result you deserve! One question that naturally pops up immediately after a SF traffic accident is: How will I find the best personal injury attorney in San Francisco? There will be dozens of options here in the Bay Area. California has over 9000 personal injury attorneys all specializing in different kinds of cases. You can probably already think of local injury lawyers who advertise on billboards, radio or other outbound marketing methods. However, just because they spend a lot of money on letting you know who they are, that doesn't mean they are the best personal injury attorney in San Francisco for your particular case. It’s therefore important to find a personal injury attorney that is both experienced with your type of case and enthusiastic about having you as a client. Some attorneys may take traffic accident cases but not consider them a high priority. Others might take traffic accident cases and try to rush the settlement process just to "churn" a high volume of cases, pressuring their clients into bad deals. You want an injury lawyer who truly cares about you and your case, not just the fee it will generate. How do you spot the best San Francisco personal injury lawyers and the worst? Trust will be a huge factor when finding the best San Francisco personal injury attorney for you. If the attorney is difficult to get a hold of or seems indifferent to your case, then that’s a sign that you should move on. If you feel as though you are just one of many other cases and you won't get the individual attention you deserve, again keep looking. If you are talking to lawyers who are making you big promises and bragging about their past cases, this is likely a sales tactic to get you in the door and then hand off your case to their paralegal. You want to make sure to dig deep in making the decision on which personal injury lawyer in San Francisco is the best one for you. Ideally, you do enough research to find the best SF injury lawyer before you hire them, so you don't get stuck with a dud. Here's one way to start your search. 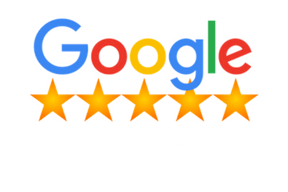 One sure-fire way to learn if you are considering the worst or best San Francisco personal injury lawyer is to check out past client reviews online. You can find out the highlights and red-flags pretty quickly about any firm you are thinking about hiring with a few clicks online. 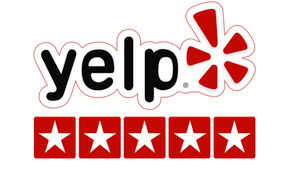 Personal injury law firms with a high number of online reviews may not necessarily be better than those with less. There are some firms out there that operate on pure volume. They will take any client that calls them and then settle their case as quickly as possible, asking for marginally more than the insurance adjuster is offering. They will then take a cut of the settlement and move on. Meanwhile, their clients might be getting less than they would have if they simply accepted what the insurance adjuster offered in the first place. This is an example of how the worst Bay Area personal injury law firms operate. Look closely at the content, not number, of client reviews to uncover any negative "warning signs" or to find the qualities you desire in your injury lawyer. 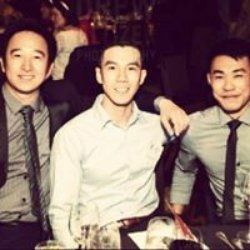 Again, look to the details of the client reviews. 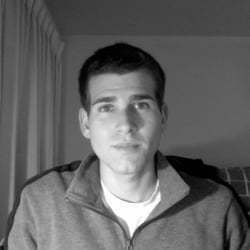 Did clients spend time writing really specific reviews that highlight the level of service they were given by the attorney? That is a good indication of how great their experience was with this particular San Francisco personal injury lawyer. If the reviews are light on details, they may have been "solicited" or reluctantly given as part of an aggressive review campaign launched by the law firm. It's sad but true. 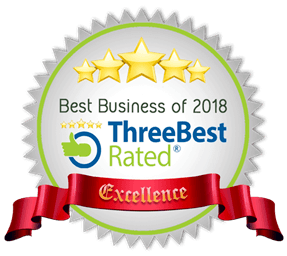 Remember, look to the quality of the reviews when making your decision on who you think is the best San Francisco personal injury attorney for you and your case. While riding my bike to work, I was struck by a motorist who ran a red light. The driver stayed on the scene and seemed genuinely concerned about my well-being. However, when I sent my claim to her insurance, she denied the events as I, and my witnesses, reported them. Sally's expertise was instrumental in dealing with the insurance company to get a good settlement. She is very responsive, a true professional, and just a lovely person to work with. I would recommend Sally Morin in a heart-beat. Sally Morin is a great attorney I had worked with. She is very responsible, experienced and worked very hard to get the maximum benefit possible for the victim of vehicle accident. Last year I was struck by a running vehicle and suffered a spine injury. After some YELP research, I found Sally Morin. Before I was a little skeptical about the review s people write about. But I decided to take a chance. I felt lucky that I made a good decision hiring her as my attorney and completely satisfied with the outcome of my case. I highly recommend her as attorney for body injury as a result of vehicle accident. 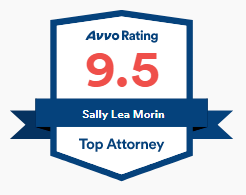 At Sally Morin Personal Injury Lawyers we have earned over 150 five-star reviews from our California clients on sites like Yelp, Google and others. Why are we so highly rated? Because we give each of our clients our laser-focused attention. By limiting the number of cases that we take, and leveraging the power of our legal team, we have created a personal injury practice that centers around quality client service. We strive to get each of our clients the settlement they deserve - putting the most money in their pocket possible - so they can move on with their lives. Being seriously injured in a traffic accident is stressful. It happens more often than it should, and when it does, you should be compensated for your medical and personal damages. Having the right San Francisco personal injury attorney on your side can make all the difference in securing the settlement you deserve. Why risk sabotaging your San Francisco personal injury claim by trying to handle it alone? 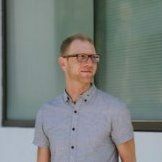 The SF personal injury legal team at Sally Morin Personal Injury Lawyers recently resolved a case where they filed a lawsuit and battled through litigation to get a San Francisco motorcyclist SIX times the insurance carrier’s original offer. When you bring your case to Sally Morin Personal Injury Lawyers, you will have access to a legal team that understands what it’s like to be suffering from a serious injury. We only accept traffic injury cases that result in serious injuries to our clients. As specialists, we understand how insurance companies operate, what tactics they use to drive down the value of traffic accident claims, and ensure that our clients get the best possible settlement. This is particularly important because you will only get one chance at the best injury settlement that you can get. For those who have serious medical injuries that can impact them the rest of their lives, it’s extremely important to pursue damages against the negligent party and ensure that their insurance company holds up their end of the bargain. In some cases, the negligent party’s insurance coverage will not even cover the medical expenses related to your injuries, as California only requires that people carry $15k in liability coverage. They will also try to shift blame on you and use every trick in the book to pay as little as possible. Our expert San Francisco personal injury lawyers know how to deal with these tricks and work to maximize your settlement result. We don't stop with just negotiating a solid settlement, but we continue to increase your net settlement (what you take home) by negotiating reductions in your medical bills. Our end goal is to get you through the process as stress-free as possible while netting you the maximum amount of money available. Our personal injury law office in San Francisco is located inside the landmark Golden Gate Theater, whose graceful arched windows have smiled down on San Franciscans since 1922. 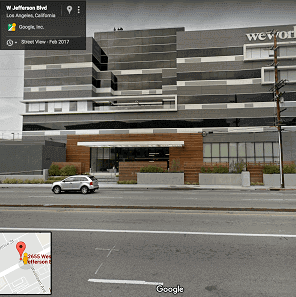 You can conveniently reach us from both the Powell and Civic Center BART stations, or the Highway 80/101 Market Street off-ramp. Garage parking is available nearby. 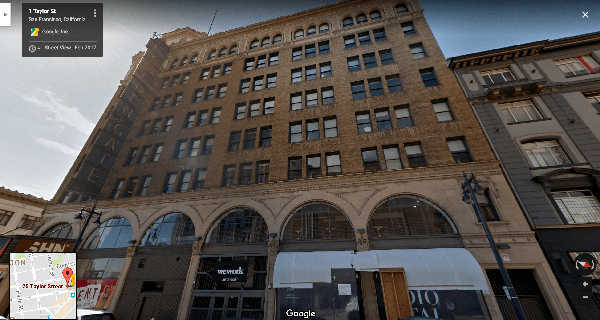 Built in 1922, the Warfield opened as a vaudeville theater and hosts live speakers, musicians and artists to this day. The theater has a capacity of 2,300, which insures performances are both lively and intimate at the same time. 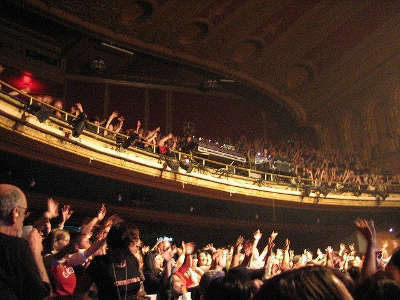 The Warfield regained its popularity in 1979 when Bob Dylan played 14 shows there, followed by 12 shows in 1980, the following year. 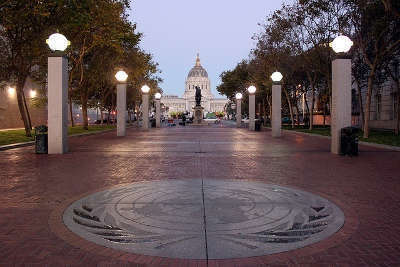 The San Francisco Civic Center is an area of municipal and public buildings a few blocks north of the intersection of Market and Van Ness Streets. It contains two main plazas, UN Plaza and Civic Center Plaza. The entire Civic Center was designated a National Historic Landmark in 1987. 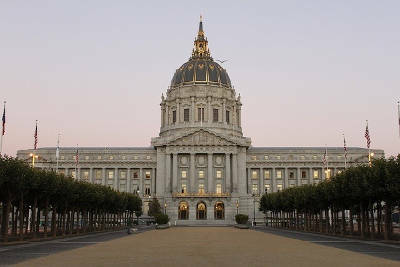 The present San Francisco City Hall is a Beaux Artes monument built in the American Renaissance style, and it replaced one that was destroyed in the 1906 Earthquake. Its dome is 42 feet taller than the United State's Capitol Building dome. 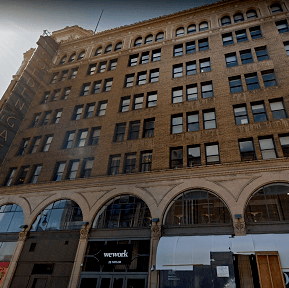 The ground floor contains buffs of San Francisco icons George Moscone, Dianne Feinstein and Harvey Milk. The City and County of San Francisco covers an area of roughly 47.9 square miles and has a population of 870,887 making it the fourth most populous city in California and the thirteenth largest in the United States. San Francisco is served by some of the best public transportation in California, with a combination of bus, metro, cable car and light rail lines operated by the San Francisco Municipal Transportation Authority (MUNI) with additional regional train services provided by BART. Popular with tourists, San Francisco is known for its hilly streets, cool summer fog, excellent restaurants, and funky architecture. Popular city attractions include the Golden Gate Bridge, the Ferry Terminal Building, and Alcatraz. And many of the hottest technology companies including Airbnb, Uber and Dropbox call San Francisco home. 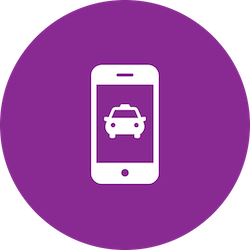 Personal injury as a result of a San Francisco car accident or ​Uber accident in the San Francisco Bay. 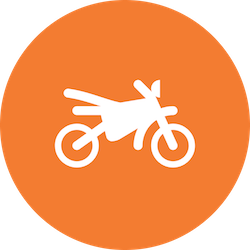 Personal injury resulting from San Francisco motorcycle accidents. 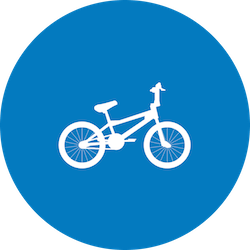 Personal injury as a result of a ​bicycle accident in San Francisco. 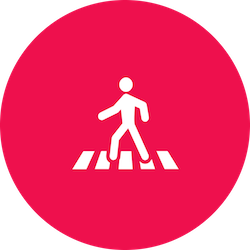 Personal injury to pedestrians who have been hit by a car in the San Francisco Bay Area. Even if you don't live in California, if you’ve been involved in a Bay Area personal injury traffic accident and you want a highly successful San Francisco personal attorney who lifts the burden of dealing with the process off your shoulders and places it squarely on their own, then you need to call Sally Morin Personal Injury Lawyers at 415-413-0033. Or, you can conveniently submit your information 24/7 for a FREE case evaluation and Sally's team will get back to you to see if they can help with your case. Still not ready to choose a San Francisco personal injury lawyer? You can read more about how the process works if you hire us and see if Sally Morin Personal Injury Lawyers might be a good fit for you.